It’s time to eat yourself pretty! 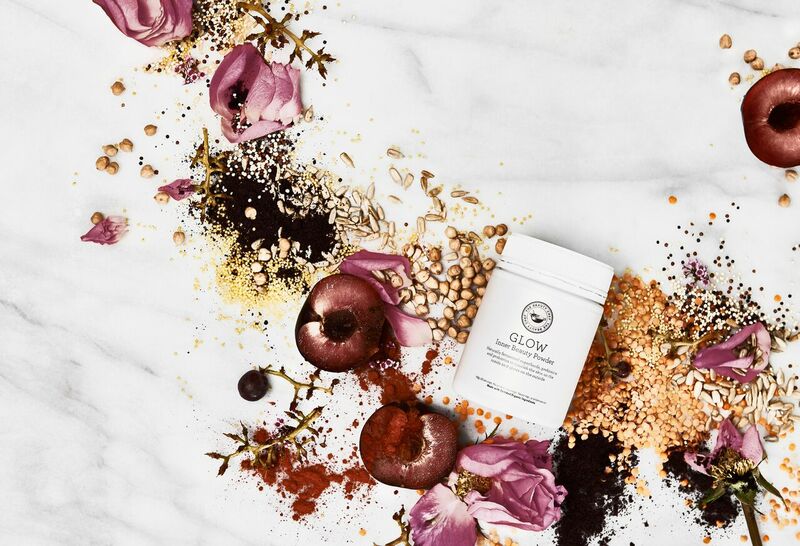 Beauty foods in the form of powders, dusts, elixirs and even chocolate are having a major moment right now. And while I’ve got my morning and nighttime beauty routines down, these buzzy beauty foods might just be the missing link to looking and feeling my best this year. The greatest part? They’re super easy to incorporate into a busy schedule. Whether you prefer to sprinkle some powder into your morning smoothie or satisfy your late-night sweet tooth with a chocolate bar, these are the 5 must-have beauty foods I’m loving right now! In case you haven’t heard, collagen is all the rage right now. There are sooo many benefits to adding it to your diet, from boosting joint health to increasing the strength of your hair, skin and nails. Collagen is responsible for our skin’s elasticity and hydration, but as we age we produce less and less of it. When taken consistently, you’ll begin to see TONS of benefits like smoother and younger-looking skin. I love the strawberry lemon flavor, but I also can’t wait to try the lavender! Adding chocolate to your beauty routine? Count me in. These healthy chocolates are made with beauty foods like cacao, rose petals and ancient herbs to provide antioxidants and boost energy. And when that 10 pm sugar craving kicks in, nothing makes me happier than knowing I’m actually doing my skin and my body some sort of good when I give into my sweet tooth! I spend a lot of my day at the office and am definitely no stranger to the dreaded afternoon slump. When I need an extra energy boost, I mix this raw powder with almond milk for a quick and delicious beauty snack. It’s packed with 39 beauty superfoods, from ginger root to spirulina, to help alkalize and detoxify your body. For the perfect post-workout pick-me-up, I like to pack these collagen protein bars in my gym bag. Each bar has a full 12 grams of marine collagen, which is super important after breaking a major sweat. Getting that collagen fix after your workout will help replenish the collagen lost, and help keep those bones strong. Cocoa kiss is my favorite, but you can try all 3 delicious flavors here. I’m a big believer that getting glowing skin and shiny hair is not always about what you’re putting on your body, but also what you’re putting in your body. Though it may be difficult at times with my crazy schedule, I try to incorporate as many healthy, nutrient-dense foods as I can into my diet. These 5 beauty foods are a few easy ways I’m working on the whole “beauty from the inside out” thing. 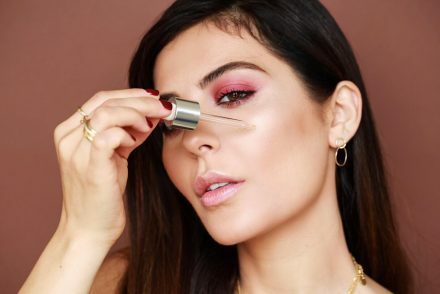 Are you ready to boost your beauty routine? Comment below which beauty foods you want to try this year! So cool, such a brilliant thing to treat to ourselves. Beauty from within. Nourishments the body for a healthy look. Love ❤️ this post! ?❤️? Collagen is everywhere! Let me know what you think of the chocolate! Haha what a cute post! Honestly I think the best “beauty food” is just drinking lots of water! I’ve been trying to drink more of it as it’s not just good for your body but good for your skin! I love adding crystal light to it or fresh berries! YES! I’m trying to drink more water too! nice post Sona. very useful, interesting and informative. Chocolate to my diet? YES PLEASE!! I am always looking for healthy snacks. That bar sounds delicious! This post is so useful to me! I just trying to eat more healthy and find food felicious and easy to carry. Saludos desde Perú!! Really interesting!!!! But I don’t know if I will find this products here in France !!! I will see if I can be delivered in France !!! Thank Sona for this post !!! ?? Hope you can find some of these love! Love this ! I have lupus so all these are so helpful. I actually take Maxium Vibrance by green vibrance. It’s a super food powder. It’s the only thing that helps me with energy, hair growth and all my around immune system(flare ups) has 25 billion probiotics check it. Thanks for this. Will try the bars , water for sure !! Xo ? Loveee this so many different beauty buys! Hooray! A new blog post! Love this post – wish some of the products for a bit cheaper. It was interesting to read that collagen is the new health trend right now. Cant wait for what you write about next! ? Yay a new blog post! 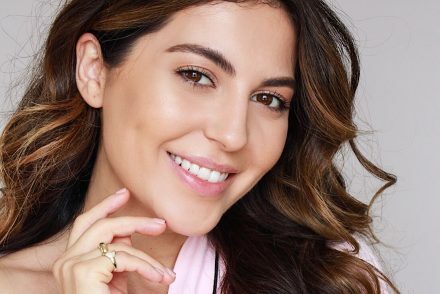 I love your blogs that include Beauty and health, they are so informative and something that I need to add into my daily life ❤️ Thank you Sona! Love this post❤️ I gotta try the chocolate bars and the Hum powder! 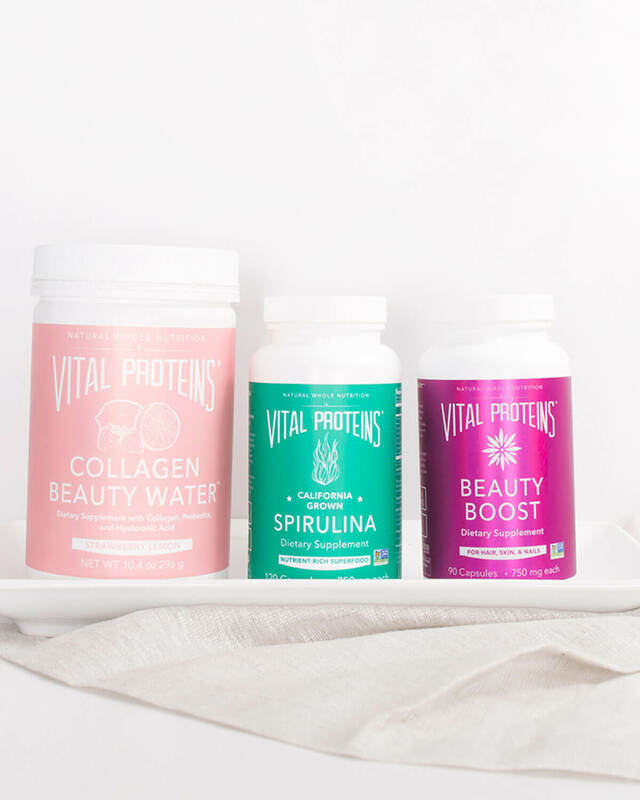 I have tried the Vitals Protein Collagen and need to get back to it. Can’t wait for your next post. #instafam #snapchatfam #youtubefam ? Glad to see you back here Sona. ??? I’ve missed your blogs so much. 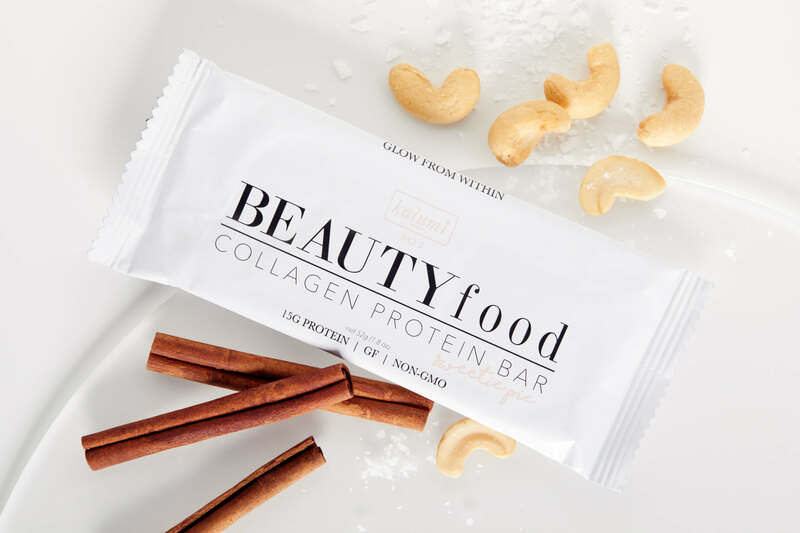 Proteins bars are nice but I wanna try Vital Proteins Collagen Beauty Water. It sounds amazing. ? I’m baaaaack! Let me know what you think! So much food ? I really appreciate the effort that you put in to take the pictures ? They are stunning. Miss Perfectionist ?? So so yum AND so many beauty benefits! That’s why I love you so much Sona! Coz it’s only you who gives us such beauty insights which one has never heard or read anywhere before. I definitely need to get my hands on the collagen water & the chocolate bar! These snacks are perfect for us busy ladies! Thanks for your feedback! Will definitely think of some new food posts ? Thank you for this! Hit the 30’s and am focusing on being good to my body and skin. Definitely going to try the lavender collagen water and the Hum raw beauty prefer in almond milk! I looooove almond milk! One of my fave snacks too! ???? It’s so important to give your insides some love! I’m so happy your blogs are back! They are always full of info that seem written for me. I’m ordering this chocolate bar ASAP! ? I do want to let you know that I got the subscriber pop up like 3 times while I was reading. I’m already a long time subscriber so it was kind of bothersome to have to keep clicking out of it. ? I have a sample of the HUM raw beauty powder that i have yet to try. I guess i better get on it. Sounds like there are great benefits!